She bothered him daily while he was at work. But the girl wouldn't get thee gone. And this girl she hung till his reason had fled. But the girl wouldn't get thee away. In an alley way they have laid him to take his last sleep. 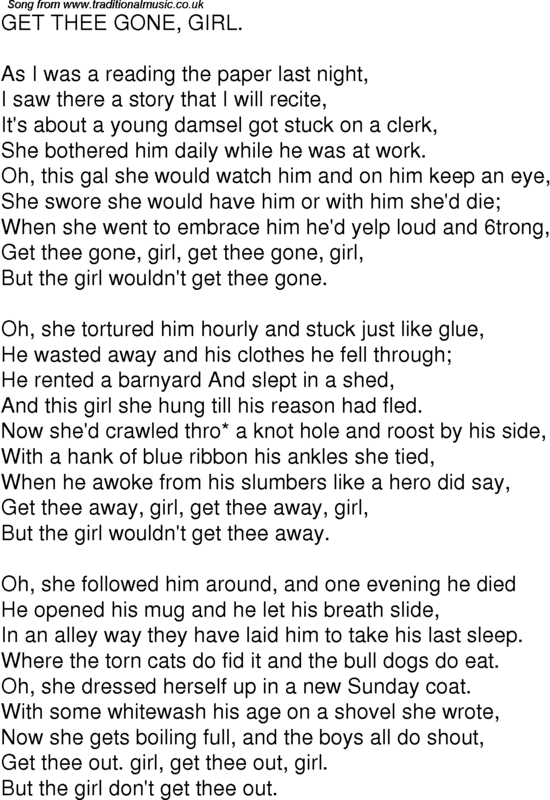 Where the torn cats do fid it and the bull dogs do eat. Oh, she dressed herself up in a new Sunday coat. Get thee out. girl, get thee out, girl. But the girl don't get thee out.